your local basement remodeling experts! If you’re looking to add more livable space to the home, then an extension might not be the most convenient or accessible way to do it. Instead, you may be sitting on top of some perfectly usable space right now. Remodeling your basement could be the perfect solution for those who don’t want to jump through the regulatory hoops of approving an extension or the disruption involved with the construction process. 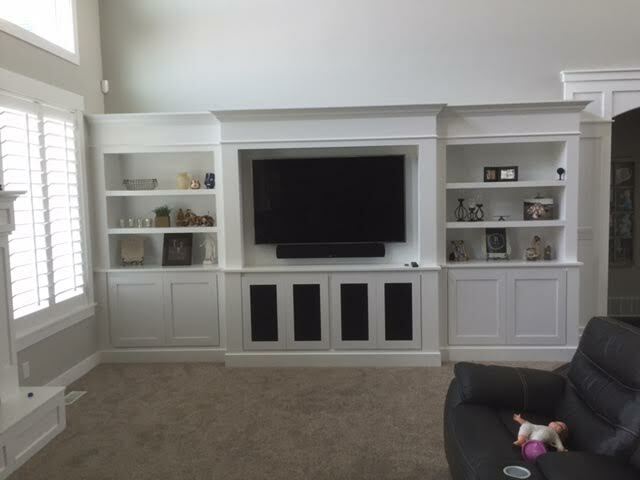 If you’re looking for basement remodeling services in Bluffdale, Utah, then SALT Basement Finishing may be precisely the team you’ve been looking for. SALT Basement Finishing is a team based in Utah that has provided finishing and remodeling services for clients of all kinds. We can help you take a cold, dank, and dark basement and transform it into valuable new living space with rooms that are bright, healthy, and beautiful. Whether you’re looking for an update to a basement that has already been finished, want to rejuvenate an area that has been ruled out due to mold, moisture, or other health concerns, or want a comprehensive service that finishes and remodels it from start to finish, we can handle any job. As Utah’s premier basement remodeling business, we have worked with clients of all kinds, specializing in mid to high-end custom homes. When you get in touch, we take the time to learn everything we need to about the project. This includes whether the basement has been finished beforehand, if there are any health concerns, and the size and support of the area. We also take the time to learn about your needs, tastes, and lifestyle to provide custom solutions. With that information, we bring together plans involving the right tradespeople, processes, and products to help bring your basement to life. With a dedicated project manager, you’re kept informed and on top of the process every step of the way. Finishing and remodeling basements is what we do, and we have served a long of list of clients not just in Bluffdale, but cities such as Alpine, Riverton, West Valley, Vineyard, Sandy, Midvale and more. We have earned and maintained the reputation and ratings to stand out as the primary provider of basement remodeling services thanks to our commitment to building strong, lasting relationships with exceptionally rewarding building experiences. With top-of-the-line design, quality workmanship, and the service to go with it, we can help you take on the individual challenges of your basement to complete any project, big or small. If you’re sitting on space that you could make use of, there’s no time like the present to get in touch with SALT Basement Finishing. Give us the details of the project, and we can provide a free, no-obligation estimate to help you learn what to expect. Use the contact form provided on the site or call at 801-414-8206. Whether you have some questions of your own or you want to get the ball rolling on your basement remodeling, we will be happy to hear from you.